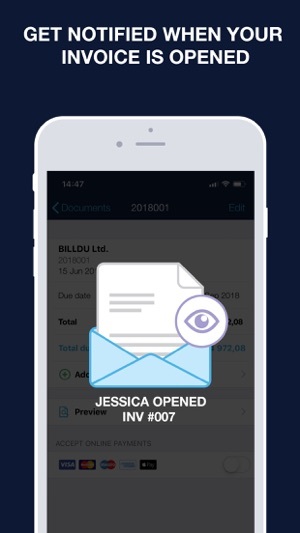 Create great-looking, professional invoices, estimates and purchase orders in just a few seconds with Billdu invoice app. It's extremely easy to use and saves a lot of time. Accept card payments and let your clients pay you right on the spot. 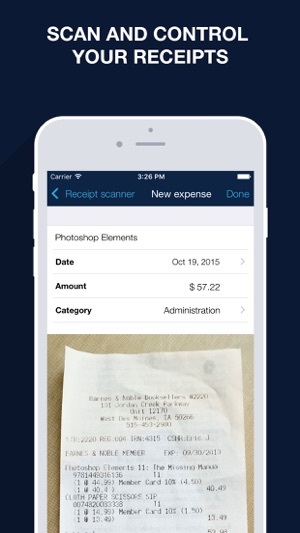 Track and upload your expenses as you go. 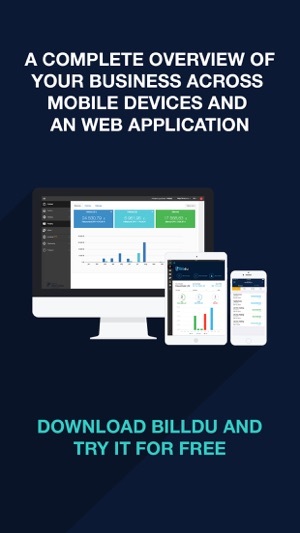 All your data is securely saved and synchronized across all your devices. Add a Pay Now button on your invoice and get paid up to 9 days earlier. 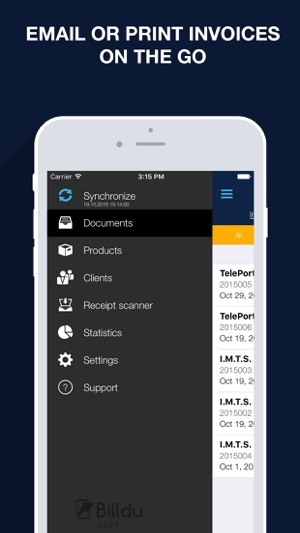 *Mobile and secure: invoices, quotes, estimates and other documents are saved on secured servers. Payment will be charged to your iTunes Account at confirmation of purchase. Subscription automatically renews unless auto-renew is turned off at least 24-hours before the end of the current period. Subscriptions may be managed by the user and auto-renewal may be turned off by going to the user's Account Settings after purchase. No cancellation of the current subscription is allowed during an active subscription period. Any unused portion of a free trial period, if offered, will be forfeited when the user purchases a subscription to that publication. Hi Patty, you have created a new Billdu account instead of logging to the old one and our team is waiting for your response to our last e-mail. I am confident it can be sorted out quickly, our support team replies within few hours. 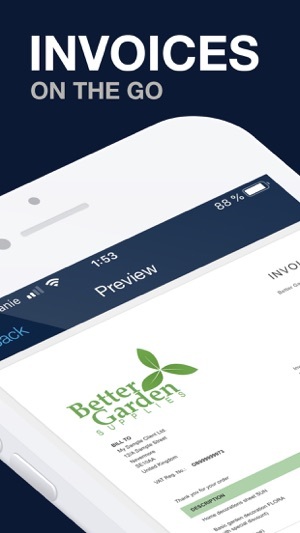 We just sent our first Estimate through the app and have paid for the full year of service. But we have two business that we would like to put on it and it seems we’re unable to add our second business so we have to go back into settings and update our email address each time. As well we run a radon Mitigation company and handyman services. With the handyman services, more times than not the client provides all necessary materials and we only need to provide a labor estimate with a description of work to be completed. We worked around what was available but would like an option to place a labor only estimate that didn’t have Items on there as we won’t have any items to provide. But it does work well with our radon Mitigation company since we do the purchasing of the materials those do need to be listed. So it’s a 50/50. 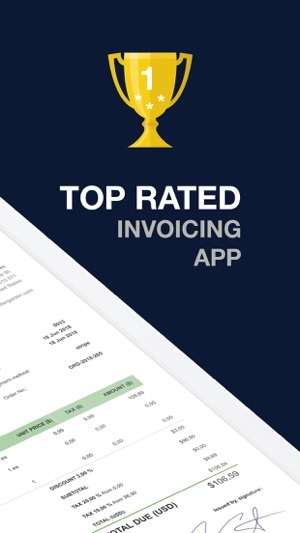 I gave 4 stars because it is an excellent app with so many options for our clients and us, but does not meet the necessities of our other company nor can it be added as another company. Thank you! 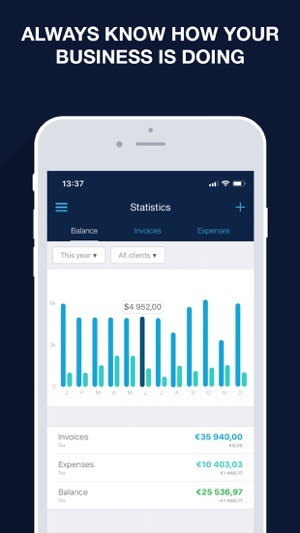 This seems to be a great fit for my company and I was planning to switch over from our current estimating/invoicing software to Billdu at the beginning of 2019. However, it seems the app is missing some features that would be helpful, and that are offered through my current software. When entering our companyphone numbers it doesn’t allow to put in any parentheses right dashes, so you can tell it’s a phone number instead of a bunch of numbers. Second, there is no financing options available for my customers, which has been a huge plus when using my current software. Also, it would be beneficial if when inserting new services and pricing, those services should be able to be saved for using on other estimates or invoices to avoid having to type it all out each and every single time. Also, I have been unable to attach contracts to the documents. If your unable to meet these needs, I will unfortunately have to stick with my current software. Thank you very much for your thoughts. We try to meet a balance between features and simplicity, that's our main goal but I will definitely put your ideas to our wish list. Have a great day!